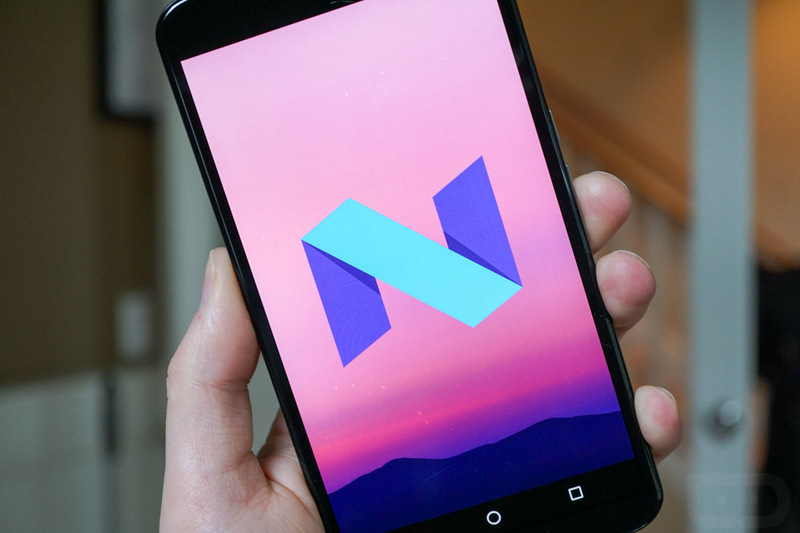 As we all know, Google recently released Android N developer preview and there are still few thing which are hidden in their OS or just aren't ready yet. 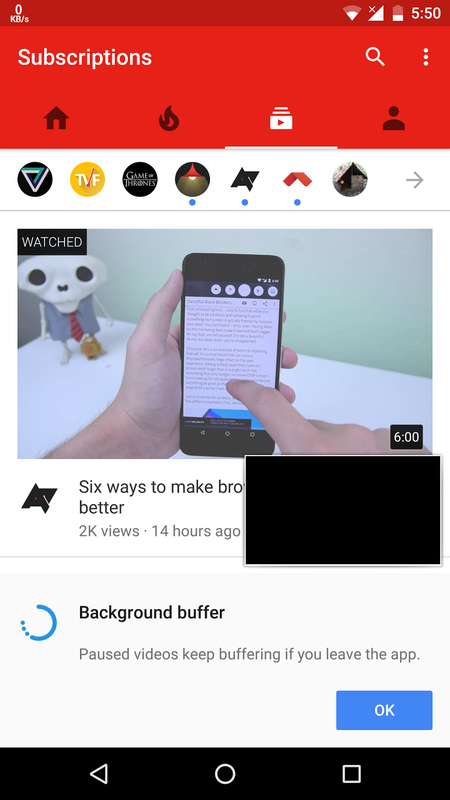 Today we discovered a new feature or we can say YouTube's application feature which is only been seen on Android N yet is background video buffering. Yes you read it right, after so many OS updates it is finally here. We are not sure that whether it is an server roll out or particular app update, for your information the app's version is 11.0.8.51﻿. As you can see in the screenshots, the user tapped on a video and then went straight to homescreen, after that a little popup card or a new Android N's notification came with information regarding the video, how much it is buffered and two options of "Stop" and "Settings". 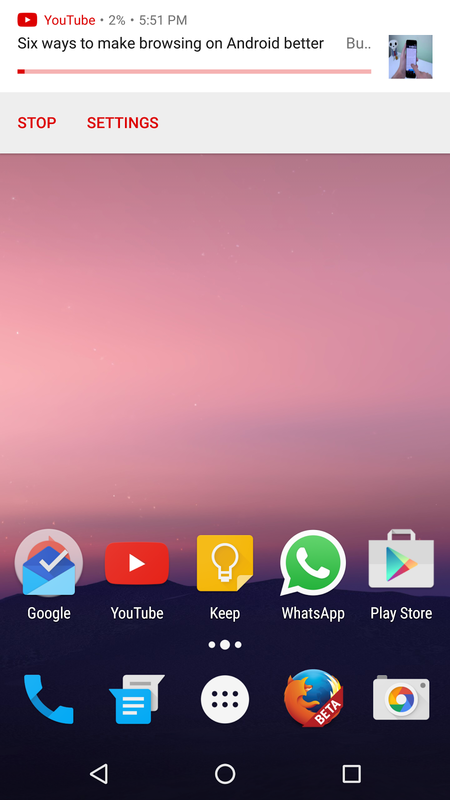 And here, in this screenshot the app tells user that you can now background buffer even if you leave the app. Right now, we don't have the APK yet and we aren't sure whether is an server side update or the app itself. Keep checking this space to know more about it!